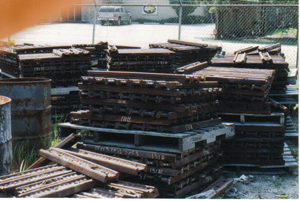 Romar Rail stocks both new and used relay rail along with accessories to fill your requirements. Whether your need is for a capitol project or for your maintenance and repair, Romar has it. 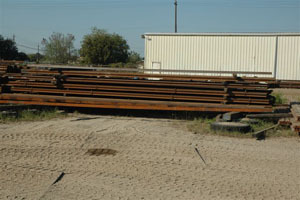 Romar stocks new and used angle bars and splice bars to meet your specifications. 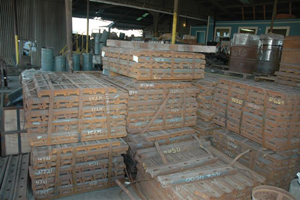 Need tie plates? 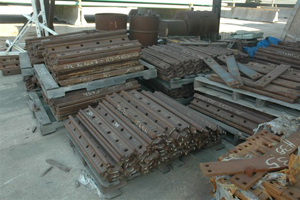 We stock single and double shoulder tie plates from 90# to 136# rail. Romar strives to provide the best service possible while making your job easier. No order is to small. 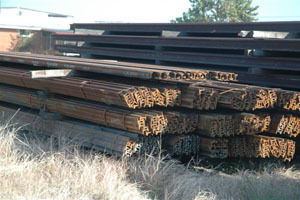 Area track bolts, spikes, gauge rods, switch rods, switch lubricants. We have it all. 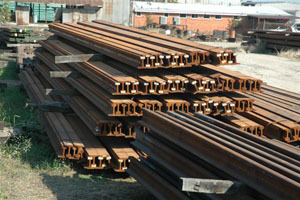 Romar stocks new crane rail starting with 12# ASCE up to and including 175# crane rail. Your crane systems can be fabricated to meet your specifications complete with hook bolts, crane rail clips, and stoops when requested.